Here is what Goldfield Specimens bring in value. These are less than three ounce specimens with maybe $100 of Gold value in them. But they are rare. With the specimen values at 17 and 46 times it’s value in Gold, about a half ton of it will do me fine !! Sure would be nice if you could give a dimension when posting pics. Hard to know if they are 15mm or 15cm! JON, As I have previously noted......really interesting and nice finds and with potential nice rewards. David, what would really be nice to know, is how the analysis went on those specimens that I sent you. Jon. 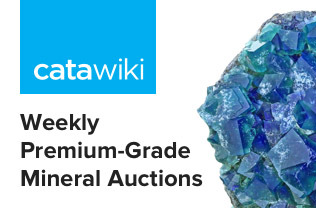 "High grade" ore is wonderful stuff for mineral collectors and museums, but of little interest to modern mining companies because of the fact already mentioned, the typically small size of the orebodies. And add to that the problems like irregular distribution, complex chemistry, safety issues of working where there is already a rabbit warren of poorly mapped underground diggings, etc. Jon, No results yet. I'll let you know as soon as I receive them. 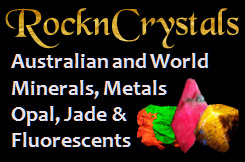 ANY mining company LOVES high grade if there is enough of it to mine profitably. They will find a way to mine it safely and efficiently. I have had many prospectors come to me (in my old mining role), wild-eyed with a piece of high grade. I just ask them how many tons of it are there? What is the potential for tonnage? There are many veins that have a glob of gold here or there that, as grab samples, are "high grade". When the same sample taken in context of the entire vein or veins, the average grade is often low grade or no-grade. Many mining companies have undertaken drill programs on the basis of high grade gold samples only to find out that there are not enough tons to mine profitably. The gold is there, just not profitable enough quantity to undetake the permitting, environmental analyses, bulk analyses, engineering, financing and legal costs. There are more factors but you get the idea. Goldcorp found one of the highest grade orebodies ever found 20 or so years ago. Many millions of troy ounces in a relatively small volume of an orebody. They started mining at average head grades of 2.5 oz/tonne or so. Locally, the ore ran a thousand ounces Au per ton. That high grade orebody resulted in the grounding for one of the largest gold mining companies in the world. Don't get me wrong! I love high grade gold and silver samples, especially from historic mining camps. They are usually relics though and not representative of value of the deposits today. Mr. Harman, the ore is slabbed to show maximum features of the ore. These specimens are found in different areas of many piles. The complex distribution of the Gold and Sulphides is interesting to me, Gold can be found in the Famatinite alone or just with the Quartz, it can be just associated with the Bismuthinite, It could Just be in combination with Goldfieldite. It could be in one Sulphide or all of them together. The ore is in many different associations, and that is only the Florence Property, there are many more different associations of the ores in the other rich mines of this district. Goldfield was a great mining district. It may still hold the record for the highest average of Gold production, 7.5 million tons of ore with an average value over one half ounce per ton. 97% of that value came from an area of less than 200 acres in size. This Epithermal deposit had an overall maximum depth of 500 feet. Yes, David, I'm sure Sumitomo is happy to have the Hishikari deposit, and I'm sure any mining company would indeed love a giant high-grade deposit, but how often do they find one? Most of the time their accountants would rather they worked a more large-scale low-grade deposit with a predictable cash flow than a small irregular deposit. And it's very lucky for we collectors that the big corporations don't take much interest in the small high-grade deposits, otherwise all our nice specimens would've been crushed before we could get our hands on them. I'm in no way disparaging the specimens, just thankful that no big mining corporation would be interested in them. Jon, you're saying that there were 3.75 million ounces or so mined there? Didn't realize it was that large of a producer. By my figuring, there seemed to be one larger, high grade Au deposit found about every 10 years or so SOMEwhere. Goldstrike, Red Lake, Fruta del Norte. Anyway, mining companies explore and whatever they find, they find. If it is not a big enough deposit for the bigger companies, they sell it off to the mid-tier or smaller mining companies. It is tough to make a mine happen these days no matter what size of deposit or company! Alfredo, much easier when rich, small and close to the surface.. It was quite a place. Some of the ore ran over 2,800 OT !! And a lot of it was 20-60-120 OT ore !!! I just like the history of that district and it should be celebrated !! I will have to introduce my wife to this thread, who is an avid Goldfield historian and wrote the description for the Goldfield page here on Mindat (https://www.mindat.org/loc-3894.html). Goldfields was a real mining camp with "jewelry stopes" by the sounds of it. On average though it is not what I would call a "high grade" operation, other than the high grade zones. To operate an underground mine you need a few million tons of 0.35-0.45 oz/ton to be modestly profitable, these days. We used to say 0.5 oz/ton was a good grade for an underground mining operation. The "high grade" underground mines that Alfredo and I have been speaking have an average grade measured in ounces per ton. Red Lake was 2.5 oz/ton in the first decade or so. The Hishikari underground mine is about 1.3 oz per ton and has been running at that for many years. Goldfields averaged 0.6 troy ounces per ton. That is "good" average grade ore. No doubt there were high grade pockets/stopes/zones in it. Most mines have those. Open pit mines are a different story and can be profitable at 1-2gm per ton (0.06 oz per ton!) with very high tonnages and economy of scale (60-100,000tons per day operation). There are lots of variables. Bottom line is, Jon, that the Goldfields district sounds like a good grade mining area with some nice, really high grade zones. Either that or, if 7.5 million tons were mined, I'm missing something. Keep finding that high grade!
. The historic Florence Mine as it stands today. The huge waste piles are still intact with all the original buildings and equipment..
. The famous Rustler #2 Mine of the Florence group of Mines. As shown Today. All of the original Lease Dumps are still intact.
. Goldfield Nevada. Sulphide Rich ore like Alunite and Famatinite are shown in the large piles.
. Sulphide ore in the piles.
. Huge waste piles. 60 feet in height.. Underground mining is getting head grades down to as low as 0.15 ounce per ton range these days using modern mining methods and open stope methods. However, this is in bulk tonnage deposits like Carlin deposits. Vein mines generally still need higher grades. The mines at Goldfield were very high grade, and the district produced about 4 million ounces. ANY company would be delighted to find such a deposit, as higher grades mean lower costs per ounce. Goldfield Nevada. Florence Mine waste piles, with a depth of about 60 feet.
. Goldfield Nevada. This High Grade Epithermal Gold Specimen is from the famous Rustler #2 and Florence Mines. The Native Gold is associated with Famatinite, Cryptocrystalline Quartz, Bismuthinite and Quartz. The specimen also contains Dacite Alunite and Milltown Andesite. Found on July 15th, 2018. 5/8” x 5/8” x 3/16”..
IMG_1553: Freshly dug fluorite and barite waiting to be wrapped. 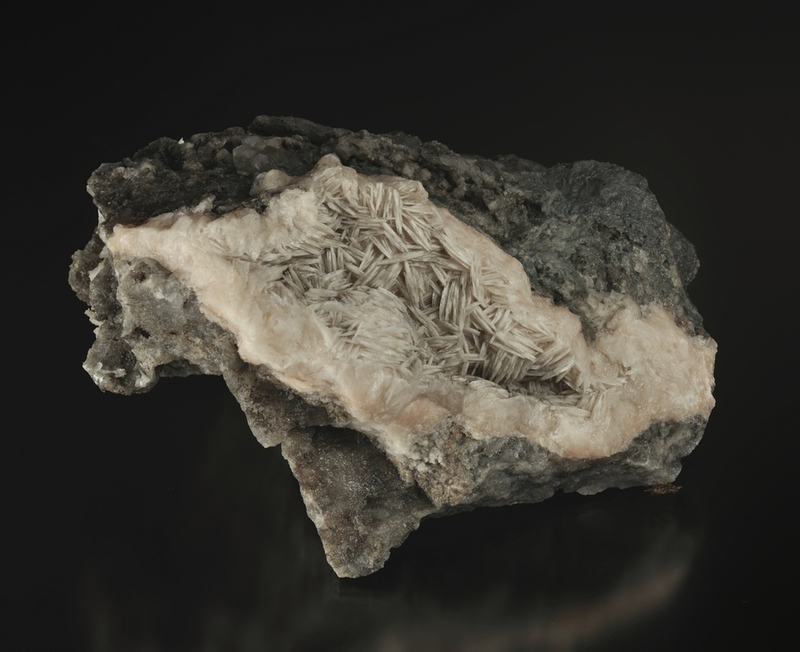 The large baryte on the lower left is roughly 15 cm long. One more for posterity. My friend Rex works on extracting specimens while yours truly strikes a pose. Thanks Matt. As others have noted, it can be very hard to pause and take photos when you're in the middle of a good find. I don't always manage to, but it's fun to share with others when I do. If you zoom in on the photo of the seam above, you'll see spider webs. Each of the vugs was thick with web...obviously there was an opening that allowed spiders in. It's black widow country, and I was half expecting to roust a nest of them, but the webs were all abandoned. Keeps you on your toes! I agree with Matt Chris. Nice to see some variety in posts as well.
. Goldfield Nevada. My 11 year old son found a nice specimen of High Grade Epithermal Gold ore at the Florence Mine. James has found many specimens at the Rustler #2 and Florence Mines. He also gives tours of these Mines... Found on July 19th, 2018.
. Goldfield Nevada. The Gold specimen that James found today at the Rustler #2 and Florence Mines. Also, a look at it through a 10x lense. 1 1/2” x 1 1/2” x 1 1/4”.
. Goldfield Nevada. James is shown with the famous Little Florence Lease shaft. In the background is the Rustler #2 Mine. He is not far from where he found a nice Gold specimen on July 19th, 2018. James will be having his Mine tours at Goldfield Days on August 3-5, 2018. Edited 1 time(s). Last edit at 07/19/2018 08:06PM by Jon Aurich.
. Goldfield Nevada. Another great High Grade Gold Specimen found on July 20th, 2018 at the famous Rustler #2 and Florence Mines. 1 1/4 x 1 x 1/4”.. Thanks for the PMs of my son doing the tours of the Mines, he thanks you all !! Hi Paul--my turn to be jealous. Three weeks in Keweenaw! I look forward to seeing your action shots and finds. Edited 1 time(s). Last edit at 07/23/2018 08:19PM by Jon Aurich.
. Goldfield Nevada. Found on July 22nd, 2018, this rare High Grade Epithermal Gold Specimen is from the famous Engineers Lease of the Florence Mine. It shows a rare combination of Alunite, Bismuthinite, Goldfieldite, Famatinite, Dacite, Quartz, Cryptocrystalline Quartz and Native Gold. A vug of bladed baryte crystals which appeared when I chiselled a large piece of massive baryte into smaller pieces in the field. Collected in May 2018 at a new locality on Mindat. The trenches are on private property. ”There was a production of barite (heavy spar) in 1921 by H.C. Bellew, 6 Saint Sacrament St., Montreal, Que. of approximately 200 tons, from a deposit which is located on lot 20, concession X, township of North Burgess, Lanark county. No shipments, however, were reported during 1921 or 1922. ", Ontario Department of Mines annual report,1922. The baryte was used in the production of paper. Short prismatic schorl crystals with good lustre and up to 1 cm. 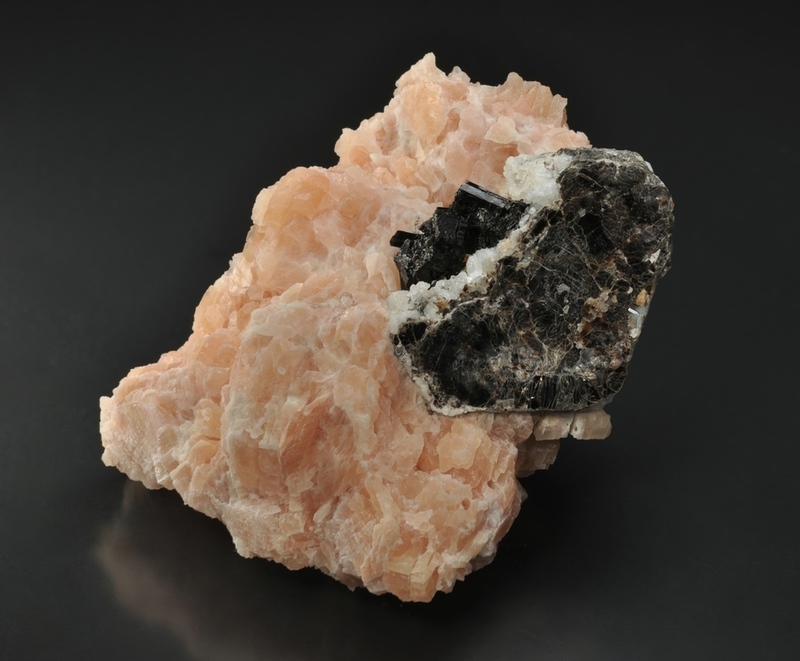 sit on a bed of milky quartzes , which in turn sit on a phlogopite crystal section that has pink calcite as its matrix. Only the tip of one schorl crystal was visible when I collected this specimen. When I etched it with vinegar over the period over several days, the schorl cluster and the quartz appeared. Here are two of the Analcimes that I've found in Mont St. Hilaire. There are more where that came from. And here's one (crappy) picture of Siderite. Edited 1 time(s). Last edit at 07/30/2018 02:43PM by Matt Courville. I found these unusual-looking green crystals a few weeks ago at the Wicks Mine in Sierra County New Mexico. I was sure they were going to be a new mineral but not so - they are mottramites. I had them analyzed by EDS. Indeed, nice finds everyone. I thoroughly enjoy following this thread. Andrew, have you managed to identify any of the minerals in your vein specimen? I'm not that familiar with Cobalt area mineralogy. Jerry, very interesting crystallization patterns in those mottramites. I've not seen this before. Hi Chris, most of the pieces from Cobalt contain a mixture of silver, cobalt aresinides(sukkterudite for example ) and nickel arsenides (nickeline for example). Arsenopyrite is also very common. This piece is a high grade piece so it contains silver. Judging by the readings from my metal detector (fisher 75) it contains very roughly about 30-50 percent silver. The mixed metal mineralogy can be quite complex in Cobalt. As the "founder" of this thread, not sure if you're entertaining samples collected in the southern hemisphere? If so, here are two specimens I collected in July 2017 while visiting the defunct Berg Aukas mine in the Otavi Mountainland, Namibia. It can be collected from anywhere. Hi Bruce, as Wayne said - please post what you like. I'm sure everyone would just love to see recent Namibia field collecting photos if you have any. Post here or on the 'In-situ' thread if you feel like sharing/ have any of these. Chalcedony pseudomorph of calcite from jasper laden geodes. Saguache County, Colorado. July 28th find. What makes the this one unique is the isolated rhomb, and its blue in color on white matrix. Most specimens that I have found are clusters, and many have the same color as the matrix. It has interesting rhombic features on the surface. There is another crystal next to it, about 3-4 mm, that has a different shape, a modified or maybe twinned rhome that creates a triangular shape with blue zoning as well. That's a remarkably rich ore specimen Andrew. I don't have a metal detector but I once watched someone find a rich gold ore specimen on a mine dump near Central City here in Colorado. Looks like fun! Scott, you've put my Saguache pseudos to shame yet again. Beautiful specimen. Thanks Chris. I thought your finds were quite unique especially the larger cluster of dogtooth pseudos. It seems the calcite morphology differs quite a bit from just a short distance from each dig. This is another example of how dirty some of the geodes get, when they are closer to the surface... I almost missed this specimen until I saw a tiny rhomb sticking out of the dirt. With just a rinse, the dirt comes off easily. I didn't have high expectations until I rinsed it, and it revealed black pseudos. The colors I've seen in these pseudos go from colorless, blue, black, yellow, and pink. Edited 1 time(s). Last edit at 08/02/2018 02:08PM by Scott Rider. Collected the piece this is on a few years back and I had an arrow on the other side for a different mineral. Turned it over and there was a small blue area and when I zoomed in I was surprised. The main mineral is chrysocolla with quartz and the little pieces I have no idea how this came to be like this. Just thought it was a fun little piece and I got this photo. I saw this football size crystal at a secret location in Ontario. Don't ask as I can not say where it is. And yes it is still there and covered again. Orthoclase maybe? That sure is a big, fat Crystal! Are there other minerals present Jeff, like large quartz crystals? More than likely it's feldspar and looks like it's from Millar mine as a possibility. Could be from anywhere. No quartz at this site from what I have seen. looks like a big feldspar Jeff, judging by the surrounding crystals. Here is another high grade vein piece from Cobalt just shy of 2lbs. I dug this loose columbite out of the dumps of the first prospect near the power line cut at the Case Beryl Prospects in Portland, Connecticut under permit in 2016. Most of the columbites found here are small and acicular, but this one exhibits classic columbite habit and has some of the irridescence often seen on the crystal faces. I was told this is a huge columbite for the locale and even the state. The best part of finding this was that it was buried in the dumps about a foot above an old beer can so obviously somebody missed it in their search for beryl.